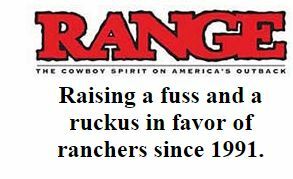 RANGEFIRE RANGE magazine backstory | RANGEfire! There is often more to an equation than meets the eye. 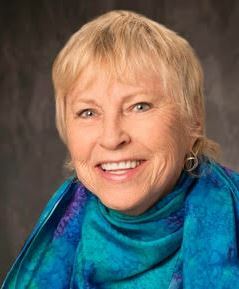 The same is true of RANGE magazine, founded by CJ Hadley, a scrappy Brit, who managed Car & Driver magazine in NYC, and Nevada magazine, before starting RANGE, which has now been her life’s work for more than 25 years. To CJ’s credit, RANGE has won multiple Freedom of the Press awards. The record speaks for itself. But if you’d like to know more about CJ, and the unique backstory behind RANGE magazine, here’s the chance. 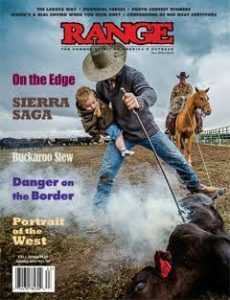 RANGE magazine / RANGEFIRE! — Addressing Issues Facing the West — Spreading America’s Cowboy Spirit Beyond the Outback.